Wifi backscatter is neat because it doesn't require any onboard power source. 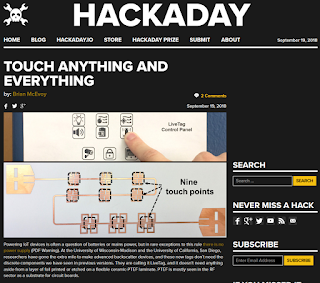 The first place I read about it was Hackaday, and I got to cover an article about it. The difference this time is that the method being developed did not require an onboard power source OR any components. The technique relied entirely on foil printed on a substrate.